There has been a global decline in anguillid eels, which are affected by habitat decline, migration barriers, overfishing, climate change, pollution and parasites. 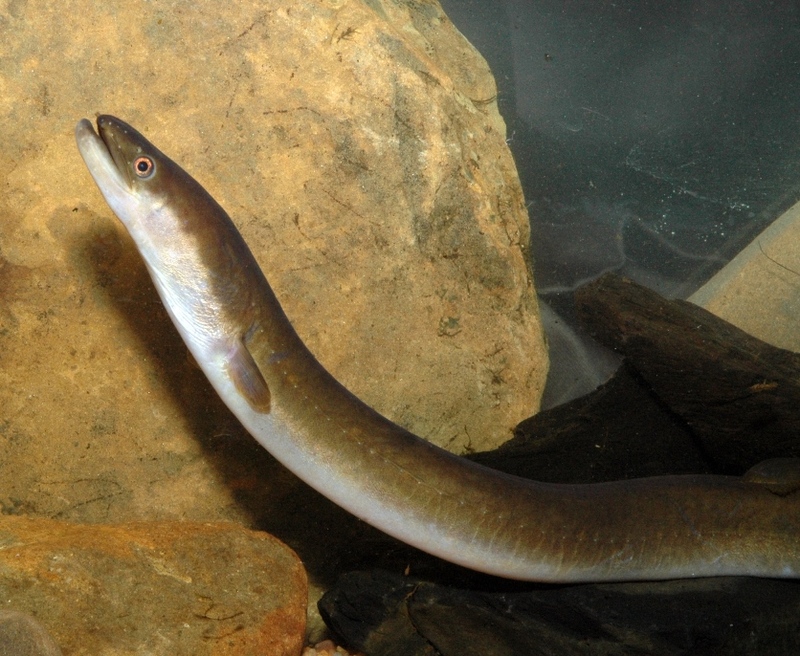 Two species of anguillid eels are found in Victoria; the Long-finned Eel (Anguilla reinhardtii) and Short-finned Eel (A. australis). These eels are an important part of Victoria’s biodiversity, support commercial and recreational fisheries and have significant cultural values to Traditional Owners. For example, eel traps of the Lake Condah region of western Victoria have been used for thousands of years to capture Short-finned Eels. Both eel species have an amazing lifecycle, travelling thousands of kilometres. We believe adults spawn in the Coral Sea, and their eggs, and larvae (called leptocephali), drift with the currents. They grow into glass eels and then elvers, which move into freshwater rivers to become adults. These adults will then return to the Coral Sea, although the actual area is unknown. A new project is using an innovative technology to identify these eels’ migration routes and spawning areas and describe the environmental conditions they experience as they migrate. Attaching satellite tags to adult migratory stage eels (called ‘silver eels’) will allow them to be tracked over large distances. These tags can also record environmental data such as temperature, depth and light. This project, which runs for three years, is a collaboration between DELWP, the Gunditjmara Traditional Owners and the Glenelg Hopkins Catchment Management Authority. This collaboration will collect life history and cultural knowledge and also provide training opportunities for DELWP staff (in traditional practices) and Traditional Owners (in fish survey and tracking methods). A world expert in eel ecology and tagging, Professor Kim Aarestrup from Denmark, is also involved in this important work. Identifying oceanic migratory routes and spawning areas of eels will fill an important knowledge gap. It will also help managers address human activities and climate change which affect the eels’ habitats.